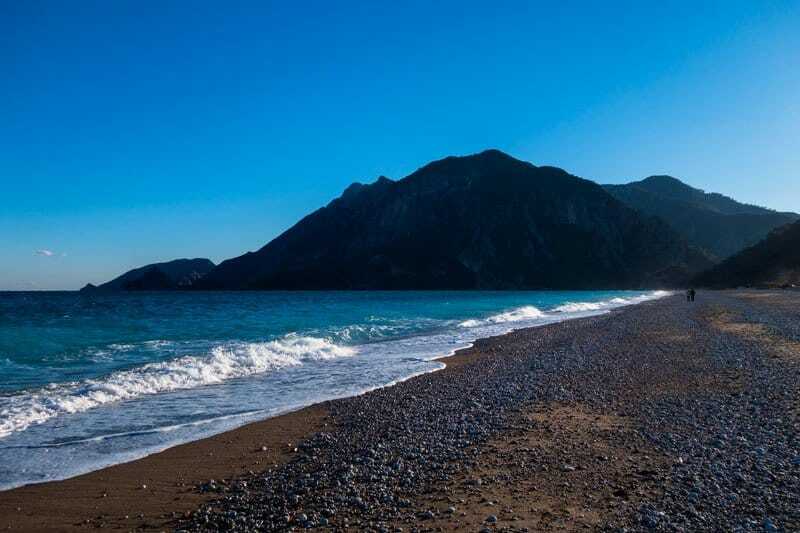 Nestled in an idyllic corner of the Mediterranean, surrounded by limestone cliffs and dense forest, lies one of Turkey’s most unique destinations – Olympos. 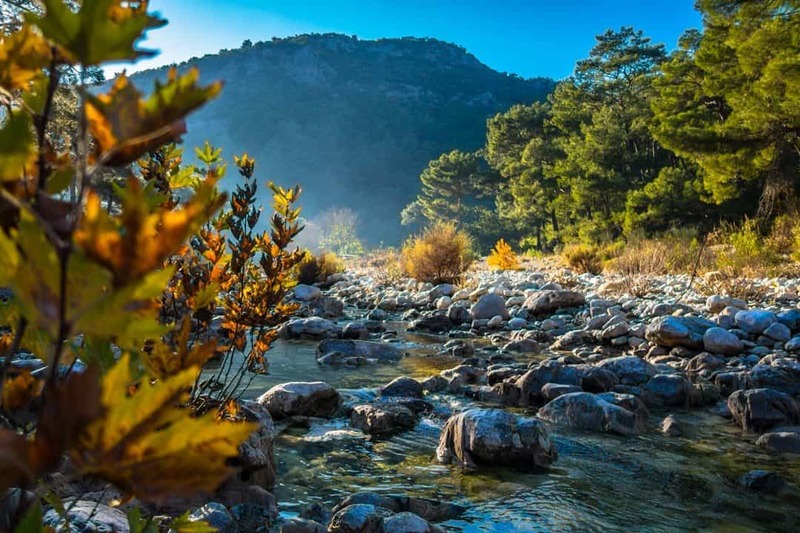 Dissecting the tremendous Lycian Way, a footpath that stretches over 500km along the stunning coastline, this picturesque village has transformed into an alternative utopia for travellers and adventurers around the world. 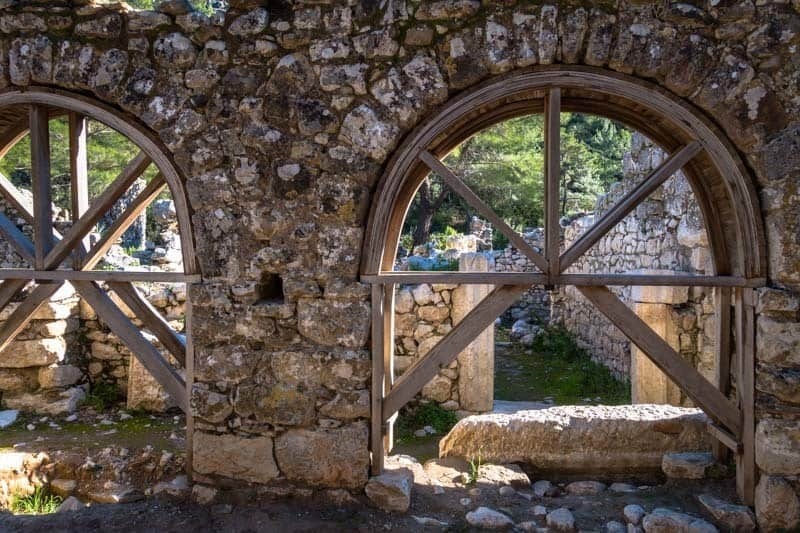 Olympos is steeped in fascinating history that appears to know no boundaries. Spectacular Roman ruins are scattered between the village and the sea, creating a labyrinth of pathways through colossal statues and columns. Scaling the surrounding mountains leads to even more intricate remains of the ancient architecture. Unlike others in Turkey, these impressive structures are partially overgrown, having succumbed to the lush nature around it. The ruins demand slow and thoughtful exploration. A short journey from the town is the inspiring Chimaera of Cirili; a collection of eternal flames that dance and twirl on the surface of the rocky landscape in hypnotic fashion. A visit late at night will prove to be a memory that stays with you for as long as the flames shall burn. The village itself appears to be handcrafted by an ensemble of trendy artists. Olympos is famous for its treehouse accommodation, and a walk through the town will cross a number of unique backpacker hostels perched high in the treetops, constructed from local timber and often hand painted with beautiful designs. For all its beauty and distinction, it is the adventure activities that push Olympos as one of the best destinations in Turkey. Thousands of rock climbers from around the world flock to the village every year to ascend the jagged cliffs and precipitous crags. Scuba divers find solace in the enthralling shipwrecks off the coast. The adjoining beach is perfect for swimming and relaxing, while mountain bikers and hikers can immerse themselves in the pristine environment that can only be discovered in this part of the country. Few places offer the diversity and excitement of Olympos, and no matter the reason it should not be missed when travelling through Turkey. This piece was created for the 2017 World Tourism Forum Blog Book.